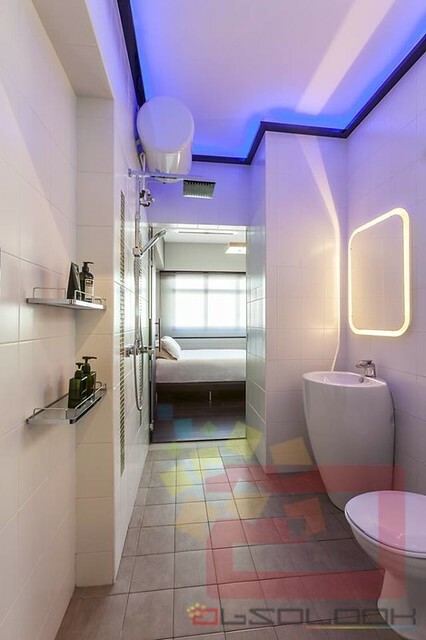 Can you believe that this is a BTO 2-Room flat? 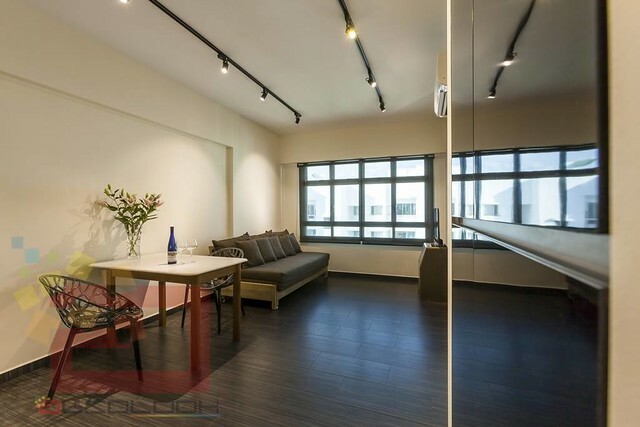 See how we transform this 2-Room HDB BTO unit into a minimalist chic loft. Our challenge was to maximize space, making it look as spacious as possible! Mirrors are the guaranteed way to make space look bigger and wider than it seem. However the placement of mirrors is also very important. Sliding full height wardrobe with hidden TV console. 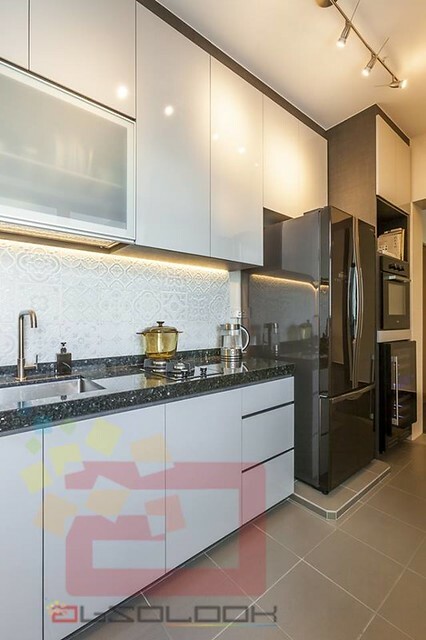 Using nostalgia inspired embossed white tiles as backsplash give the kitchen a magic touch. What’s not to love about this stylish bathroom? Featuring standing tall basin, illuminated mirror and interchangeable ceiling lighting(blue, red and green)! Sweet Baby Room That’ll Blow Your Mind!